One of the unique challenges of managing a B2B website is that you often don’t actually sell anything directly. Most B2B websites are there to educate, create awareness and generate sales leads (normally through form completions). Retail sites have a very straightforward conversion funnel: Product Views to Cart Additions to Checkouts to Orders. 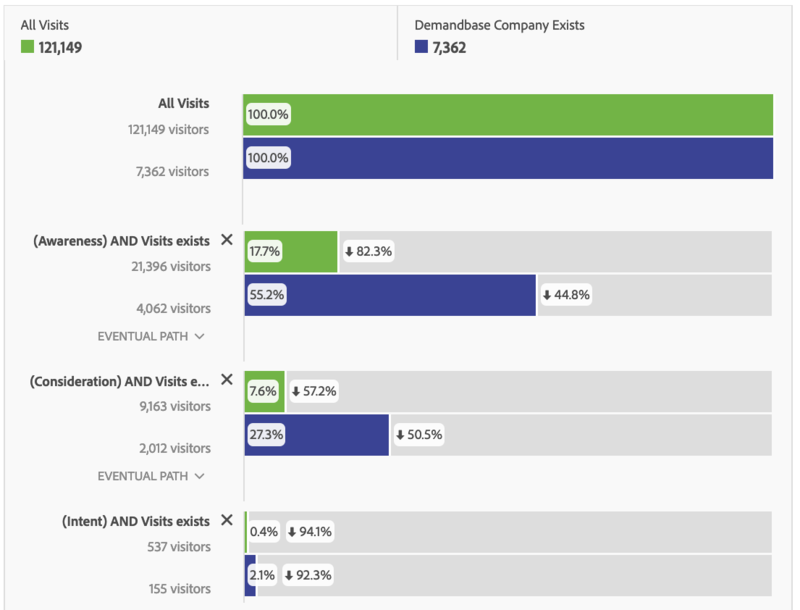 But B2B sites are not as linear. In fact, there is a ton of research that shows that B2B sales consideration cycles are very long and potential customers only reach out or self-identify towards the end of the process. 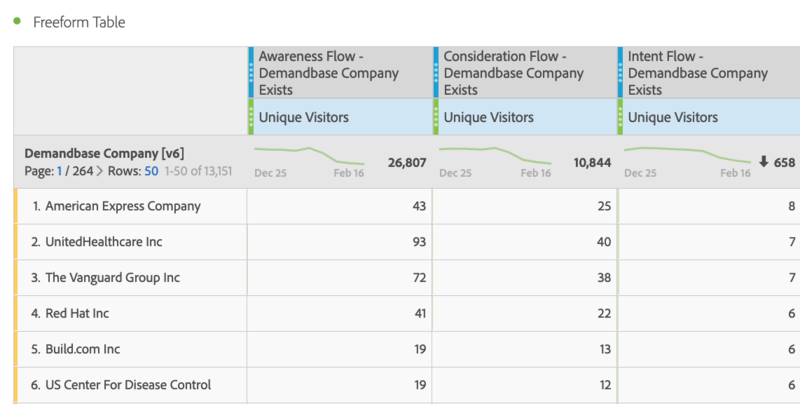 So if you work for a B2B organization, how can you see how your website is performing if the conversion funnel isn’t obvious? 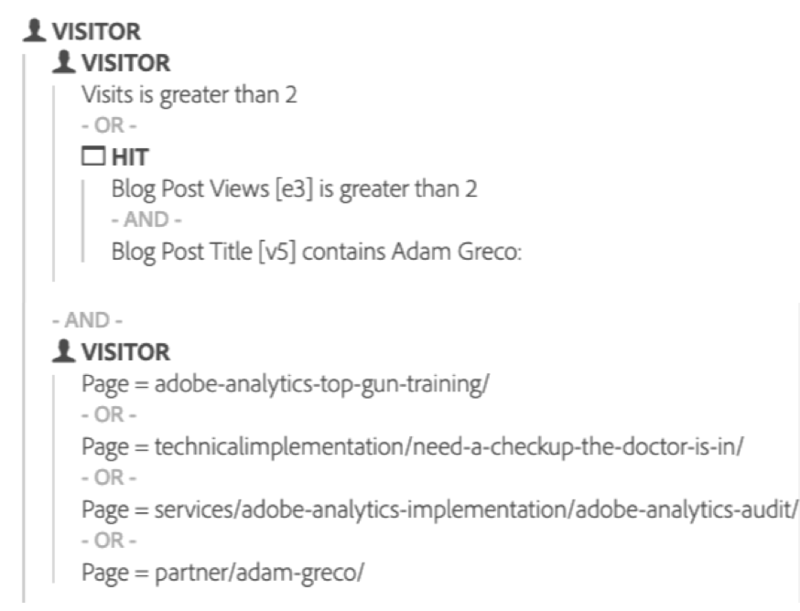 One thing you can do is to use segmentation to split your visitors into the various stages of the buying process. Some people subscribe to the Awareness – Consideration – Intent – Decision funnel model, but there are many different types of B2B funnel models that you can choose from. 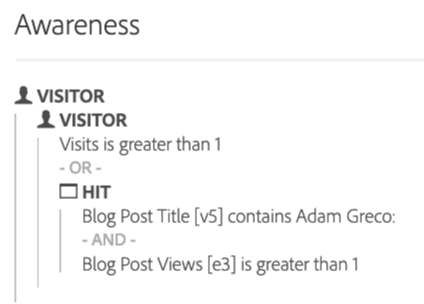 Regardless of which model you prefer, you can use digital analytics segmentation to create visitor buckets and see how your visitors progress through the buying process. Here, I am saying that they had to have met the criteria of “Consideration” and viewed at least one of the more detailed pages that describe my consulting services. 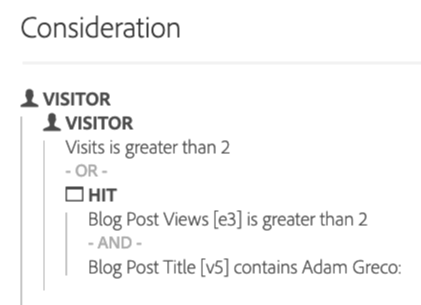 As I mentioned, this example is super-simplistic, but the general idea is to place visitors into sales funnel buckets based upon what actions they can do on your website that might indicate that they are in one stage or another.